Year after year, surveys indicate that many organizations are still not confident in their ability to restore normal business operations in a reasonable timeframe following a disaster event. Still, some shops have yet established a corporate disaster recovery plan they know they can rely on. So how can you develop a DR plan you can rely on? 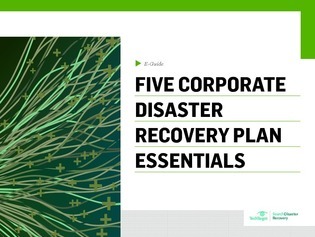 This exclusive e-guide gathers a group of trusted data protection experts to reveal five essential parts of any corporate disaster recovery plan. Read on and you’ll get a refresher on DR best practices.